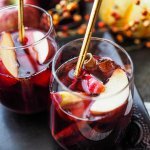 I can’t think of a better way to kick off the fall season than with a glass of spice infused Autumn Sangria. My good friend, Maranda, gave me this recipe years ago and I always make a batch around Labor Day to celebrate the coming of Fall. The sweet cinnamon and apple flavors combined with red wine make this pretty tasty either hot or cold. The printable recipe is at the bottom of this post, so if you want to dive right in just scroll to the bottom. 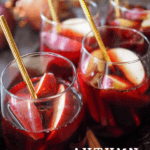 I also have step-by-step photo instructions for autumn sangria below. It’s pretty easy to make, but the photos are fun. Enjoy! First, grab yourself two really cheap bottles of Merlot. If you’re a fan of the movie Sideways … and you don’t like Merlot … tough. You need a strong red wine to keep the flavor after we manipulate it with some sugar and spice. And you need it to be cheap wine so that you don’t cry when we pour all the ingredients in. Since you can’t really find a rich earthy Barolo that’s cheap, trust me with the Merlot. Next, you’ll need a little sugar and spice to make everything nice. A big pinch of cinnamon and a little pinch of clove and nutmeg. 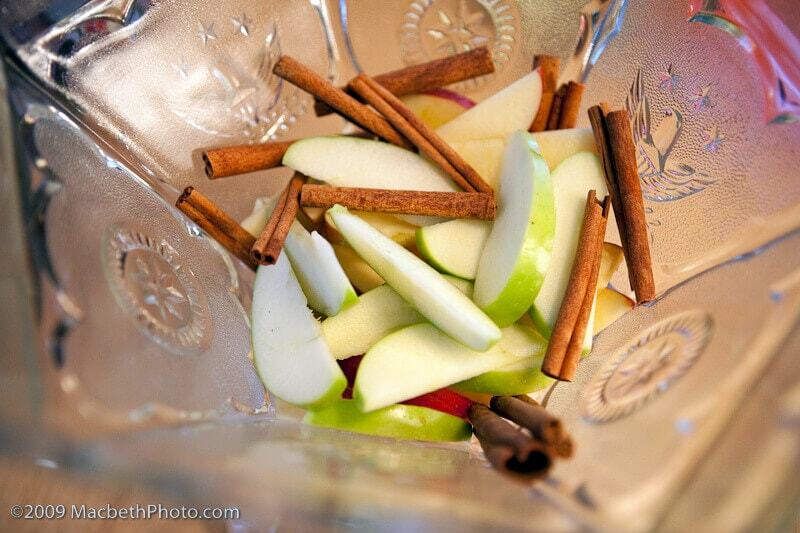 Some apples and cinnamon sticks for flavor AND decoration. And a whole boatload of sugar. One cup, to be exact. And a bottle of ginger ale. 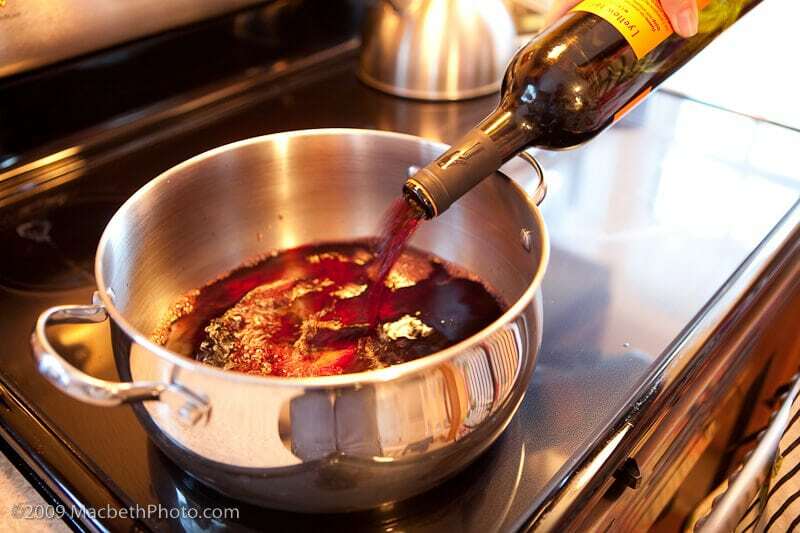 Pour the two bottles of wine into a deep sauce pan on medium heat. 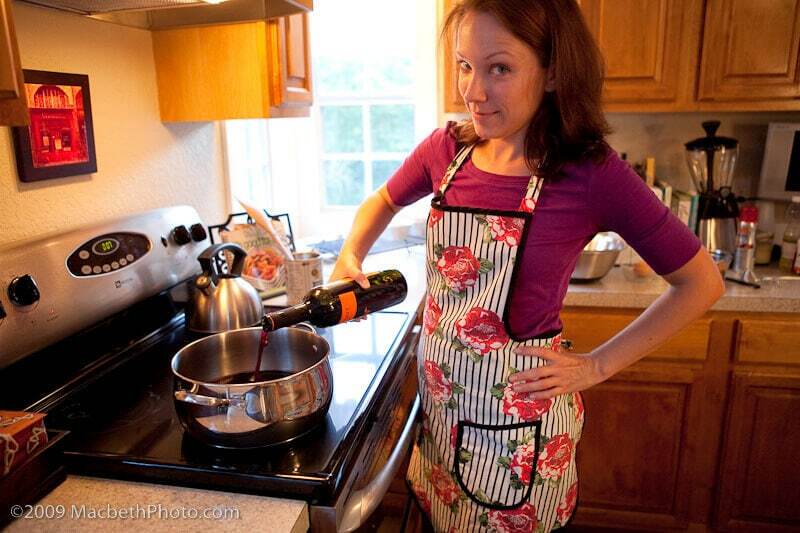 This is the look I give my friends when they question whether or not the “full” two bottles of wine are going into the recipe … or if one is for the cook. Now this is why I’m telling you to use the cheap stuff. Pour in the cup of sugar and spices. Even though you’re using a cheap Merlot, believe me when I say it’s gonna taste goooooood. 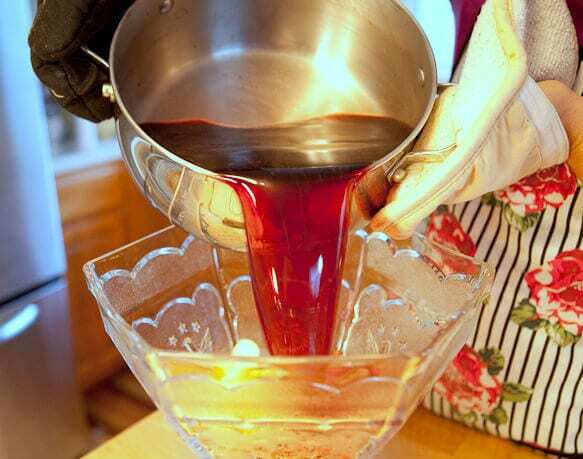 Stir the wine as the spices and sugar melt and blend in. This whole process takes about 8 to 10 minutes. Be sure to not “boil” the wine. You just want it to get a warm simmer. Boiling would burn off the alcohol, an defeat the whole purpose of making sangria! While the wine is simmering, this gives you time to chop up some apples. Cut the slices fairly thin and mix in a few varieties to add some color and make it fancy schmancy looking. Also add about two handfuls of cinnamon sticks. After the wine has simmered for about 10 minutes, pour into a pitcher or punch bowl, add the ginger ale and a cup of ice and refrigerate for 24 hours. This allows all the spices to marinate and blend. 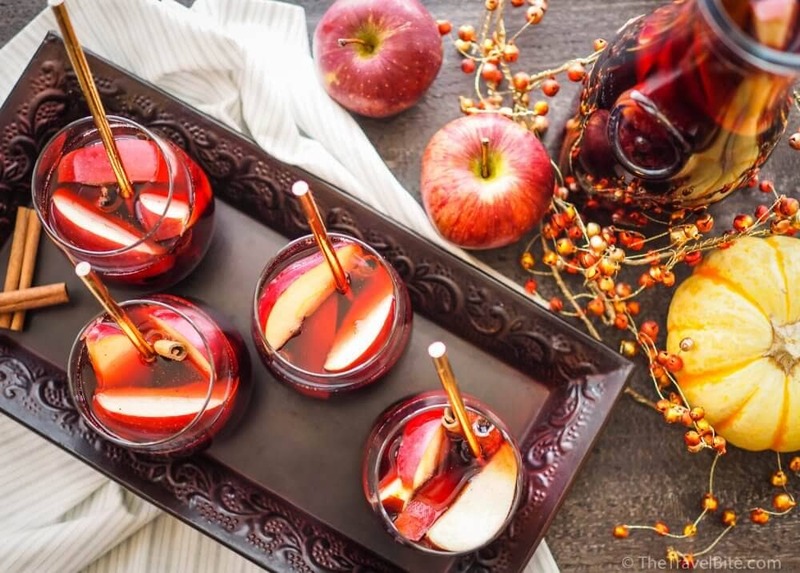 If you are going to serve immediately (within 24 to 48 hours) then the apples and cinnamon will really spice it up and also give it a festive look. Raise your glass! A toast to fall! 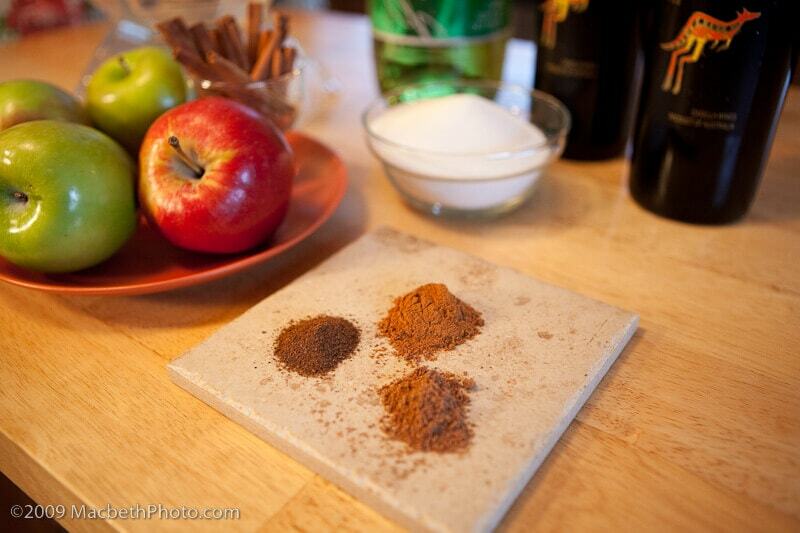 Combine sugar and spices in a small bowl and mix well. 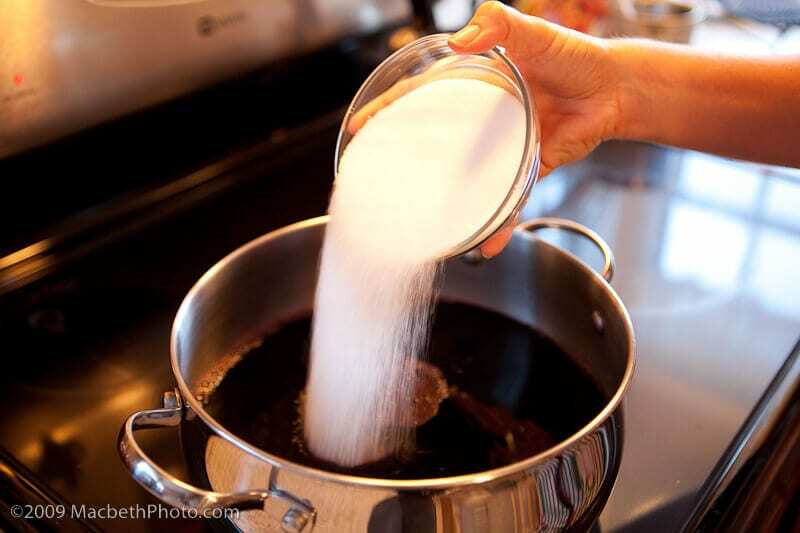 Pour Merlot into a large pot, add the sugar and spices, then let simmer on low heat for ten minutes, stirring until sugar is dissolved. Pour into a pitcher or other container. 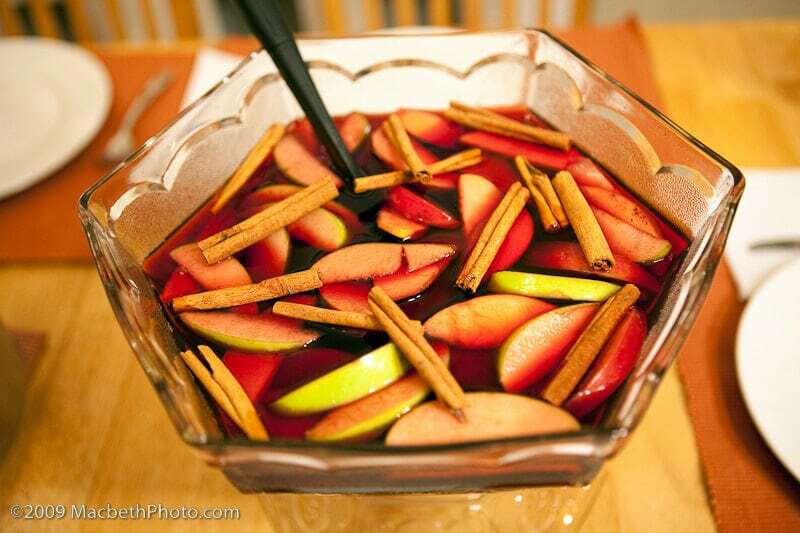 Chop apples and add them along with the cinnamon sticks to the sangria mixture. Add ginger ale. Cover and refrigerate for at least 24 hours. For a more carbonated punch, add the ginger ale to the wine after it’s cooled … then it will keep the fizz. Great! I will try your sangria because I love it. I usually add some oranges and bananas. This sounds DELICIOUS! Can’t wait to try it out. So glad it was a hit for your party! I make it annually either for our camping trip or pumpkin carving party. And cheap wine is definitely the way to go. There’s no sense in adding all those ingredients to an expensive bottle! I love it … so glad you loved it to! This is delicious! I made it for a large group at Thanksgiving and everyone LOVED it. Easy to make, fabulous flavor and not extremely sweet… thanks for the great recipe. So glad you enjoyed it Amy! Oh my! This sounds delightfully delicious! 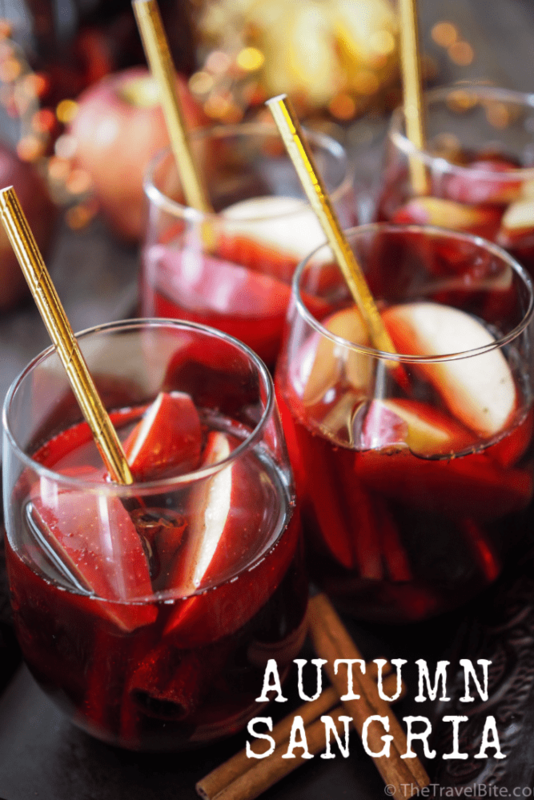 I love sangria and autumn, so how perfect is this! Thanks for the inspiration.